Rate: N14,000. 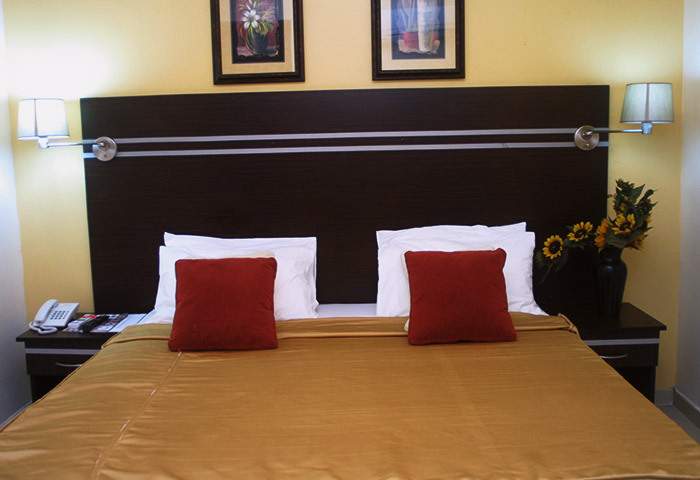 Rate is inclusive of 5% VAT, 10% service charge, and 5% Lagos State consumption tax.The room rate includes complimentary full breakfast served in the restaurant for 1 person. Breakfast taken in the room would attract the full breakfast rate and tray service charges. Maximum Occupancy: The maximum occupancy is 2. Double occupancy attracts a surcharge of N2,000 per night. 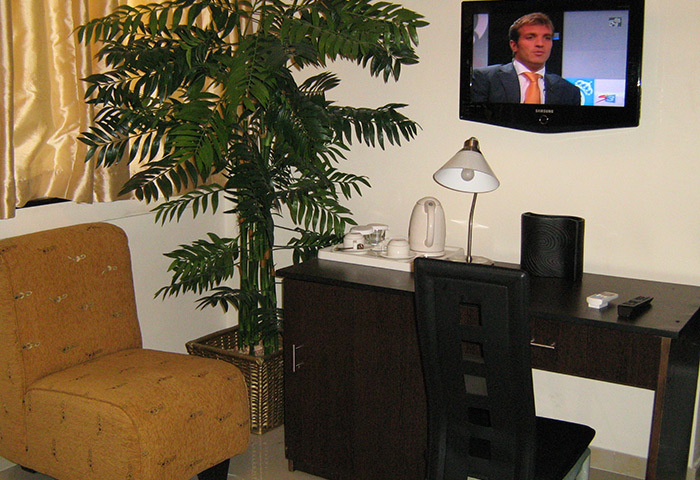 Deposit Policy: A deposit of N16,000 per room is required 48 hours prior to arrival to guarantee reservation. All accounts must be kept in credit otherwise, access to service will be denied. Check in/Check out: Check in time 1:00 pm. Checkout time 12:00 noon. Additional 50% of room rate will be charged for check out after 12 pm and before 6.00 pm. 100% of room rate will be charged for checkout after 6.00 pm. Cancellation/ Refund Policy: Notification of cancellation is required 2 days prior to your scheduled day of arrival. Cancellation of your entire reservation or any part of your reservation after that date will result in a charge to your deposit for the first night only.